dock10’s end-to-end post production on Happy Valley has helped to heighten the darkness of the BAFTA winning six-part crime thriller. Daily rushes were transported to dock10 to produce a working grade for the assemble edit. Final sequences used a combination of layers, mattes and shape tracking in addition to subtle effects such as camera shake, to bring a dynamic, nuanced look and feel to the programme. Sound specialists worked closely with the director to ensure that gritty audio complimented the dynamic and edgy visuals. 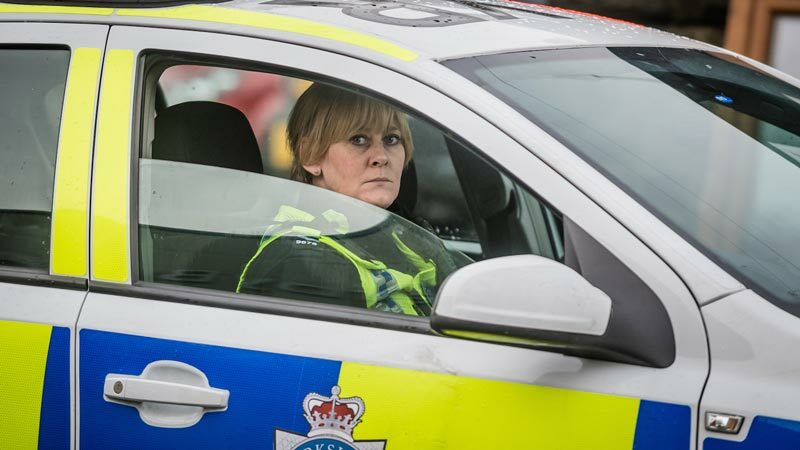 From the pen of award-winning writer Sally Wainwright, Happy Valley tells the story of a staged kidnapping that quickly spirals out of control and turns into a much more brutal and vicious series of crimes. The initial viewing figures doubled with iPlayer requests and the series quickly went viral, attracting large numbers of viewers from beyond its expected audience. "Jamie Parry (Senior Colorist) turns something good into something great. He keeps it looking real but adds layers of depth and beauty." Juliet Charlesworth, Producer. "Mark Briscoe (Head of Audio) has a great drama ear, knows exactly the correct music cue to add to a scene, never adds too much, keeps the honesty and integrity of the scene." Juliet Charlesworth, Producer.